Jason Sharp & Nikki Talley hit Garden City Community College on May the 4th (be with you)...& Eva Rose might join in on banjo. Nikki Talley & Jason Sharp, celebrated road warriors & folkmasters hailing from North Carolina, return to the High Plains for our 2nd-ever collaboration with Garden City Community College & Tumbleweed Festival. Don't miss their show on Saturday, May the 4th (be with you...and yes, you can wear Star Wars attire) at 7:30pm. Nikki & Jason's live set is incredible. These two have it all: expertly crafted melodies and lyrics, cloud-crushing vocals and harmonies, and excellent guitar and banjo pickin'. PLEASE TELL EVERYONE, and come out to support LIVE MUSIC on the High Plains. CLICK HERE to RSVP, or call 806.367.9088 to reserve your seat! For more about Nikki & Jason, visit their website, or check them out live on stage! MORE ABOUT THE CONCERT: Garden City Community College, in partnership with High Plains Public Radio and the Tumbleweed Festival, are proud to present Nikki Talley & Jason Sharp in the 2nd Living Room Concert on the GCCC campus on Saturday, May 4th at 7:30 PM in the Beth Tedrow Student Center Portico. These road warriors of song travel nonstop, playing on average 200 shows per year! They have logged almost 250,000 miles in their home and tour bus, Bluebell, in the last few years. Her soulful, silken voice weaves melodies that remind us of the mountains and the sea – both mysterious and rhythmic. 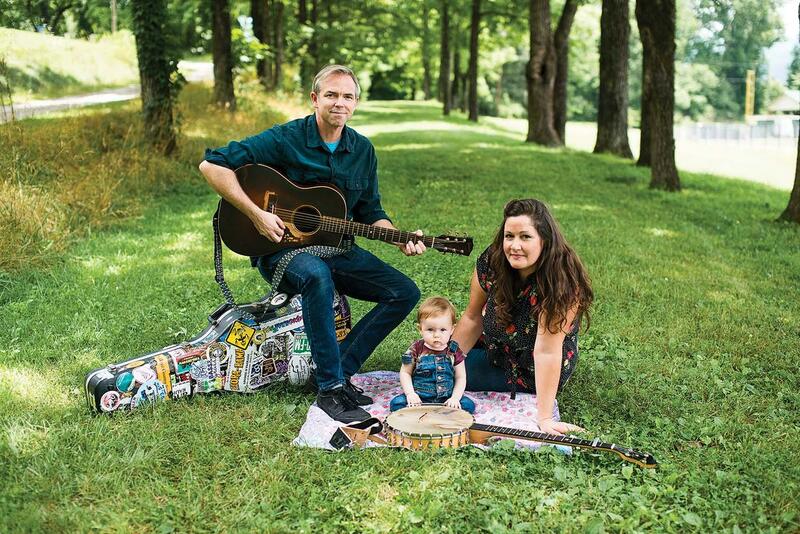 Jason Sharp, her partner and husband, adds a rhythm and harmony that keeps us close and cozy. Need more info? Contact Brian McCallum at brian.mccallum@gcccks.edu.